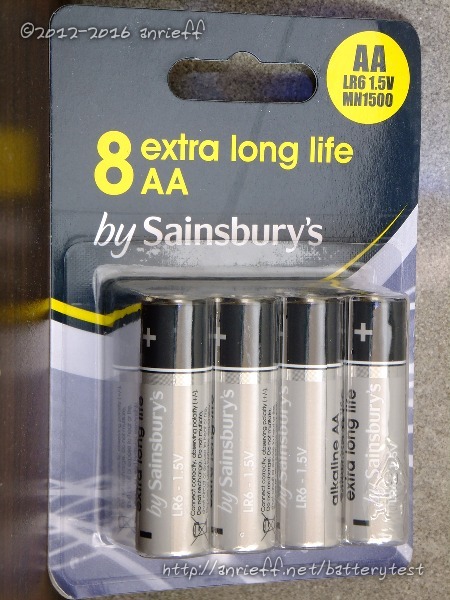 These cells I bought during a work trip to England from a local supermarket chain - Sainsbury's. The price listed is after a GBP/EUR conversion on that day, their retail price is £4.50 for the 8. The pack measured 6.42 volts initially, decreasing to 6.39 after the heating phase. 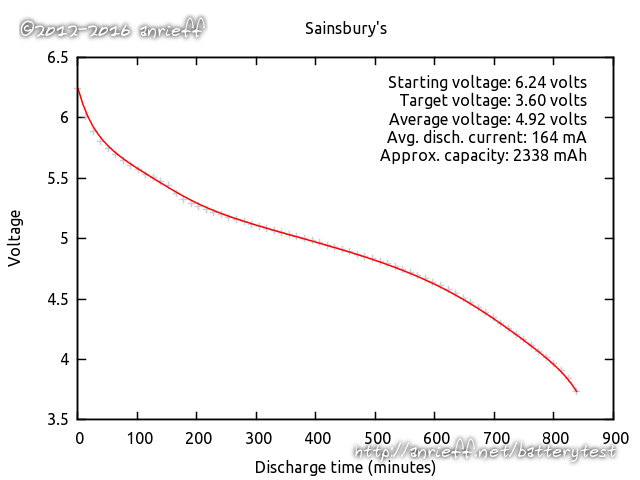 An uneventful discharge cycle followed next, on which the cells clocked 2340 mAh. 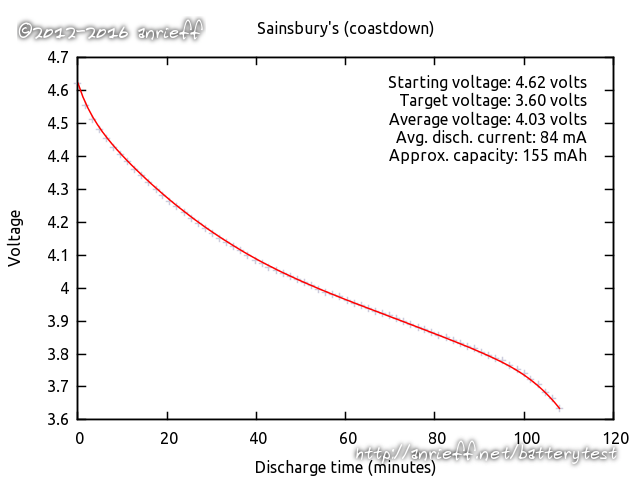 After a few hours break, the coastdown discharge showed 155 mAh.